Oh no. This is not a good news at all for hybrid vehicles big community. Recalling is uncommon in vehicle industry, but let's hope this will not halt the progress and dim people's enthusiasm for energy-efficient cars. BTW, this hybrid is powered by a combination of a 2.4-liter 4-cylinder gas engine and a 15-hp electric motor, is priced at $25,995 in the US. That's about RM77,036 in Malaysia in dollar-to-dollar conversion. I bet it will cost you no less than RM160,000 in our 'import-friendly' car market! General Motors is recalling nearly 43,000 hybrid vehicles in the United States and around 500 in Canada to fix a defect that could cause a fire in the trunk, the automaker said Monday. 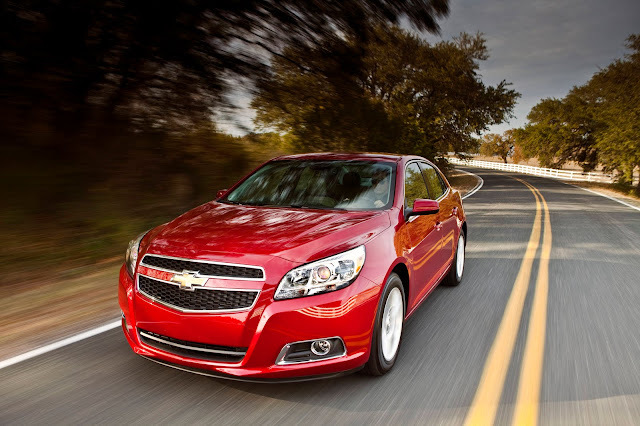 The recall affects Chevrolet Malibu Eco models from the 2013 model year and Buick LaCrosse and Regal sedans from 2012 and 2013 which are equipped with eAssist hybrid gas-electric engines. "The issue is the potential overheating of the circuit boards in the generator control module, but it does not involve the eAssist battery," GM said in a statement. GM said an overheating circuit board could lead to a loss of battery charge and cause the engine to stall. "In addition, there may be a burning or melting odor, smoke, and, in rare instances, a fire in the trunk," GM spokesman Alan Adler said in a statement. Most of the incidents occurred within the first 1,000 miles of operation, GM said and only two led to trunk fires. One was during an October screening in a dealership and the other occurred in March. No injuries or crashes were reported as a result of the defect, GM said. Safety must come first. Tulah, sapa suruh x buat R&D Dan testing cukup2.